On this day we commemorate Swartz’s death by holding an international day of protest against the illegal mass surveillance programs, conducted by the NSA and GCHQ (as well as others), that are used to invade the private lives of everyone on the planet, as revealed by whistle blower Edward Snowden. 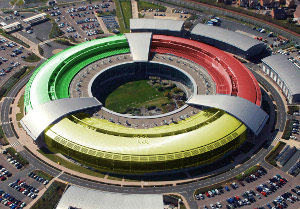 The NSA and GCHQ, among other things, have attempted to subvert the technologies that we all use – to keep our medical records safe, to communicate in private about sensitive matters, to shop and bank securely online. In short, they have conspired (and succeeded) in making the internet a less safe place for you and your family, so it is fitting that today is also Safer Internet day. So, today, do something to make the Internet a safe place for you and your family to work and play. Fight back.